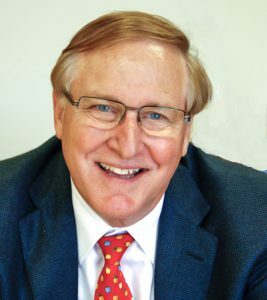 Businessman, Non-Profit Leader Peter Newland has 40 years of executive leadership in the construction and development industry. He is a Vietnam veteran and Bronze Star recipient. Peter served two six year terms as Commissioner of Snohomish County PUD N0. 1, and was the founding board president of the Community Foundation of Snohomish. County. He is an Overseer Emeritus of Whitman College and has been an active board member of many non-profit organizations. 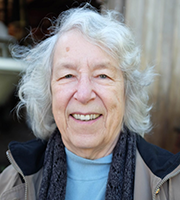 Educator, Community Activist Nancy Wyatt taught for 19 years in the Quilcene School District and 12 years in Chimacum. 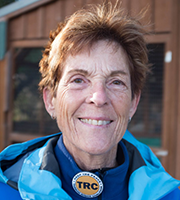 Now her activities include volunteer work at Habitat for Humanity in Quilcene, respite giver at Proctor House in Port Townsend, Challenge Course facilitator at Lake Gibbs, and continued volunteer work in the public schools. She is known for her musical prowess with the group Ukuleles Unite! Forty years ago Nancy, the school teacher, bought “the school teacher’s house” on Dabob Road and has lived there ever since. 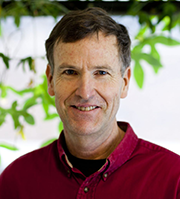 Biology Professor, Author Scott Freeman has a PhD in evolutionary biology, authored two best-selling college textbooks, and is an internationally recognized expert in biology education. Since 2004 he and his wife Susan have taken an active role in efforts to restore Tarboo Creek as a high-functioning salmon stream. They are the owner-managers of a sustainable forest products company, called Leopold-Freeman Forests LLC, in the Tarboo Watershed. His book Saving Tarboo Creek was just published by Timber Press, and has been selected as a top-10 work in non-fiction by Amazon. Commercial Fisherman, Farmer and Boat Builder Jim Smith was a journeyman shipwright and also fished commercially for 35 years, first in the waters of Puget Sound and the Straits of Juan De Fuca and later in Bristol Bay, Alaska. He has been engaged in a number of businesses including growing flowers and vegetables on Old Tarboo Farm. He is a veteran of the U.S. Army, serving in Vietnam in 1969 and 1970. Artist, Piano Teacher Susan Freeman and her husband Scott have been major contributors to the restoration efforts for the Tarboo Valley, working to restore a degraded section of Tarboo Creek and manage over 200 acres of forestland in the watershed, all protected by a conservation easement held by Jefferson Land Trust. Susan is the granddaughter of renowned conservationist Aldo Leopold and has been planting trees and restoring natural habitats since childhood. She works as a pianist and a piano teacher, and is also an artist who shows regularly in Seattle. She illustrated the recently released book “Saving Tarboo Creek” published by Timber Press. Together with her husband Scott, she volunteers as a puppy raiser for Canine Companions for Independence–the largest supplier of service dogs for people with disabilities. 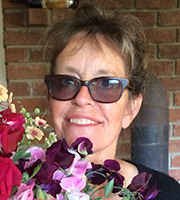 Educator, Writer and Flower Farmer Teri Hein was part of the team that designed The Hutch School, a program for school-aged patients and their family members at Fred Hutchinson Cancer Research Center, where she taught for twenty years. In 2005 she founded The Bureau of Fearless Ideas (originally known as 826 Seattle), a youth writing center that puts children from all walks of life together to share stories. Her work as a writer and educator has garnered her and her organizations numerous awards, including the National Arts and Humanities Youth Program Award which she accepted from First Lady Michelle Obama in 2011. Her writing includes her book, Atomic Farmgirl, an account of her childhood on a wheat farm in eastern Washington. She and her husband, Jim Smith, have owned Old Tarboo Farm since 2004 where they now grow flowers for the 10,000 Flowers project and host inner city children to visit and practice nature writing. 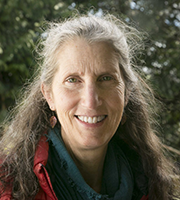 Psychologist, Artist, Community Volunteer Diane Johnson was born in Port Townsend and raised in Tarboo Valley on part of her grandfather’s homestead. She resides now with her Northwest Farm Terrier, Cara, in a house across the road from the house where she grew up. She currently has a private practice as a psychologist in Port Hadlock. Diane belongs to E. Jefferson Rotary, Chimacum Grange (where she is president), Count Me In for Quilcene (board member), Community United Methodist Church, and the Quilcene Historical Museum. She has won awards both for her work in mental health prevention and in her work as a painter. She also has enjoyed playing “doghouse” bass in bluegrass bands. 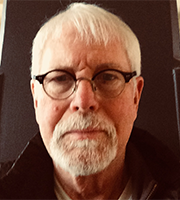 Electrical and Electronics Systems Manager, Cattle Rancher and Sportsman Riley Parker has over 40 years of professional experience working with electrical and electronic systems for Puget Sound Energy and the Port of Seattle at SeaTac Airport. He was directly responsible for more than 120 electronic systems and all electrical systems at the airport. He managed 118 full time employees with an annual budget of over $35 million. In 1999 his Happy Tails Ranch was named Farm of the Year by the King County Conservation District. Since retiring he and his wife now live off Center Road where they raise and sell grass fed Scottish Highland beef cattle to the community. They also have three Quarter Horses and enjoy riding them at home and on the trails in the Olympics. Riley volunteered and served in the US Army and the Washington National Guard. As an avid sportsman he has more than 50 years experience hunting, fishing, shooting and reloading ammunition for accuracy. 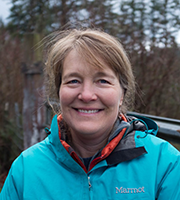 Farmer, Natural Resources Program Coordinator Tami Pokorny and her husband Mark have raised small numbers of sheep, goats, steers and pigs along with grass hay, Honeycrisp apples and blueberries on Valley Rock Farm in the Tarboo Valley since 2008. For many years, they supplied chicken and duck eggs to the Food Co-op. Their sons Jack and Erik, who arrived to the valley at ages 9 and 7, built all manner of forts, participated in local Plant-a-thons, and ultimately mastered wood chopping and hay bucking. Both sons are in college now. 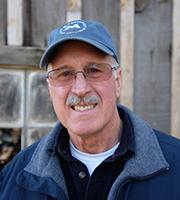 Mark is a full-time carpenter specializing in finish work; Tami’s job involves the protection of important open space lands, floodplain restoration and community engagement to benefit coastal resources on the West End. Valley Rock Farm is protected by a conservation easement which provides expanded buffers to Tarboo Creek and other protections.